On a great day for rugby, Linlithgow departed for Myreside in Edinburgh and most arrived in reasonable time despite a holdup by an accident at Hermiston Gate. Despite a couple of last minute call offs and a prop having to wait for his boots being delivered from Bathgate, the manager was delighted that he had a competitive team take the park against Watsonians thirds. The first twenty minutes was dictated by Watsonians who tried to run the ball from everywhere and were very adept at off loading when in the tackle. 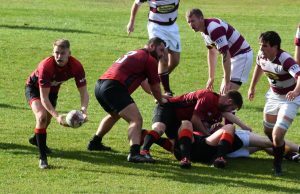 Linlithgow held on well and maintained a blank score sheet during this time with good tacking by James Timlin, Kevin Wilson and Jeff Martin in the backs and Connall Black, Finn Conway and Colin McMorrin in the forwards. 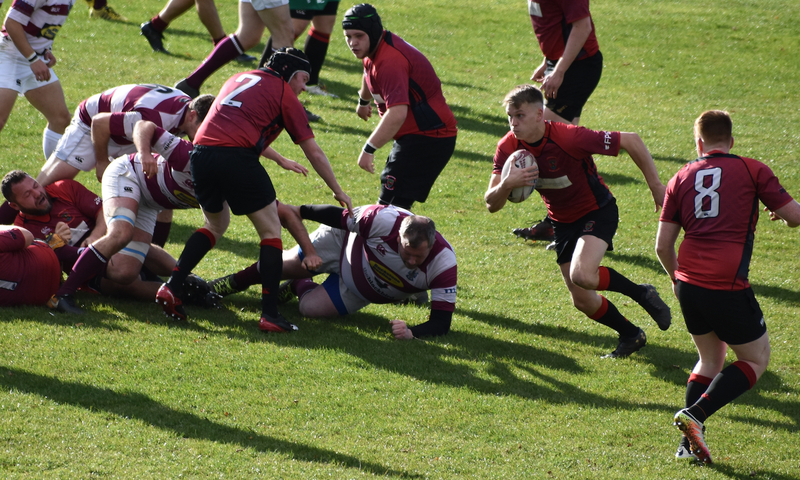 However pressure told as the Reds were struggling to secure first phase possession from the scrum and line out which gave the Watsonians backs front foot ball. So despite the valiant efforts of the Reds the Watsons team scored 3 tries in the first half leaving the score 17-0 at half time. The Manager made some changes at half time and put on Billy Edment in the forwards and Rory McAdam in the backs and immediately Billy showed his versatility by chipping the ball through the defense, gathering and scoring in the corner. 17-5 against the Reds. The Reds had a bit of belief now and Lewis McKie caught the ball from the restart, from an ensuing ruck Jeff Martin took the ball down the blind passed to Muzz Murray and Scott Kellock sprinted and scored in the corner. 29-17 to the Watsonians side but hope for Linlithgow as another score would have brought us within touching distance of the opposition. Unfortunately although the Reds had pressure at the end Watsons scored another try so the final score was 34-17 against. A good effort in patches by the Reds but as the Manager made clear afterwards, we need players to train regularly and make themselves available week after week, not just occasionally.